It probably hasn’t escaped your attention that we are, at last, enjoying a drier spell of weather. Cold – yes, dull – yes, but at least it’s mainly dry after a period of nine months of exceptionally wet conditions. One of the main controlling factors of our weather here in the UK is the Jet stream. This is ribbon of very high speed winds way above us. In fact it’s between 7-12 km high (the same height as our holiday charter planes tend to fly at). You can see the position of the jet stream (above Canada) on the pic below by the cirrus clouds that are aligned along it. 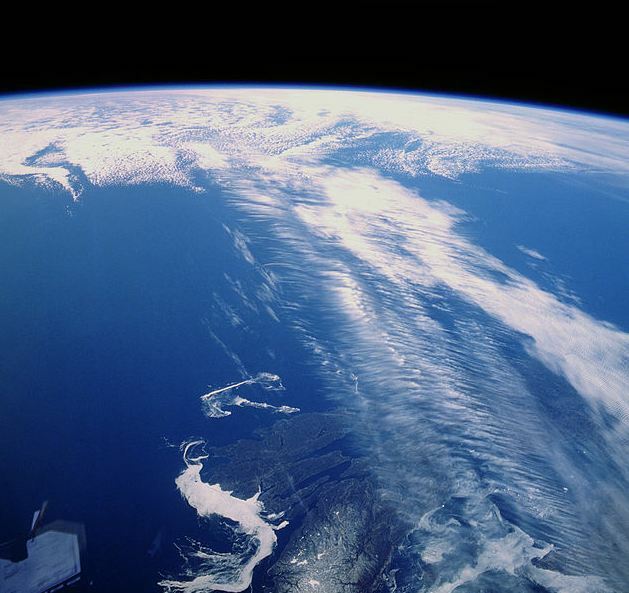 Although very high up the jet stream does tend to steer the weather systems close to the surface that bring rain. 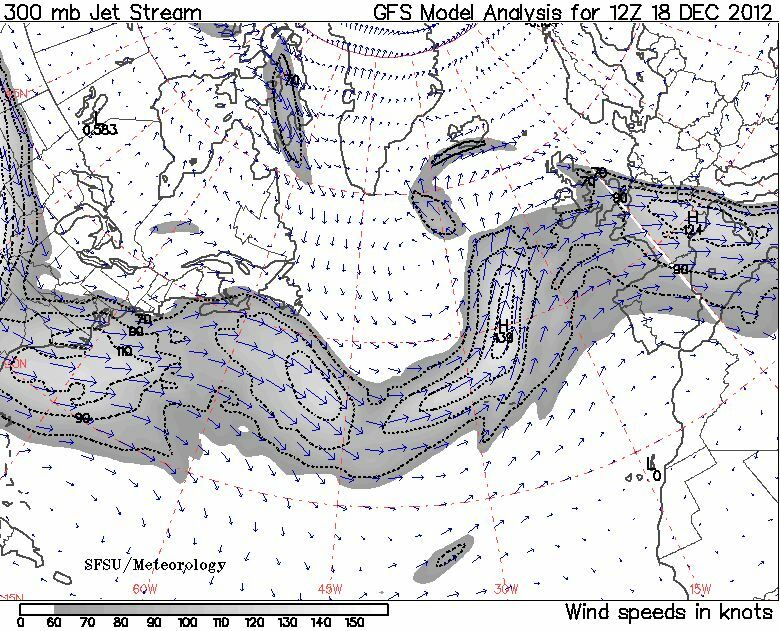 If we look at the jet stream map for the 18th December last year it’s clearly flowing across the north Atlantic and more or less over us. 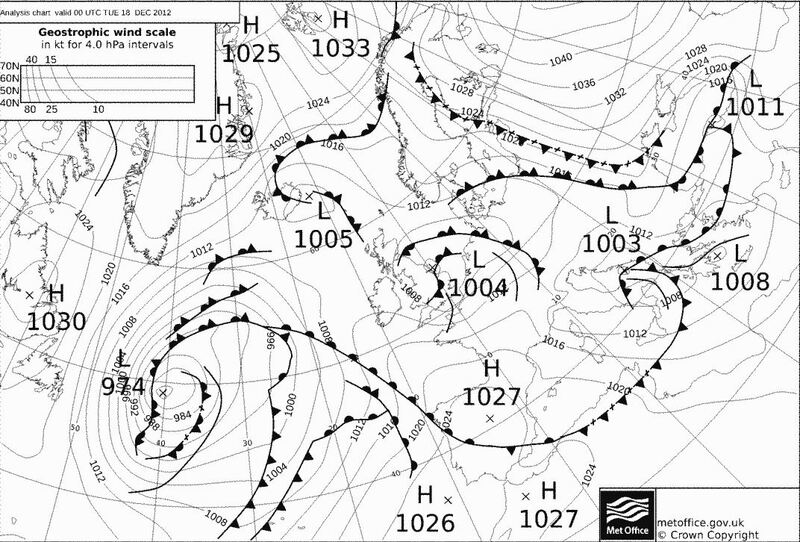 If we then check the chart which showed where all the weather systems were on the same day we can see a whole host of them over the UK or approaching us from the west. It was the succession of weather systems that brought the rain, saturated the ground and caused the flooding problems from April right through to January. 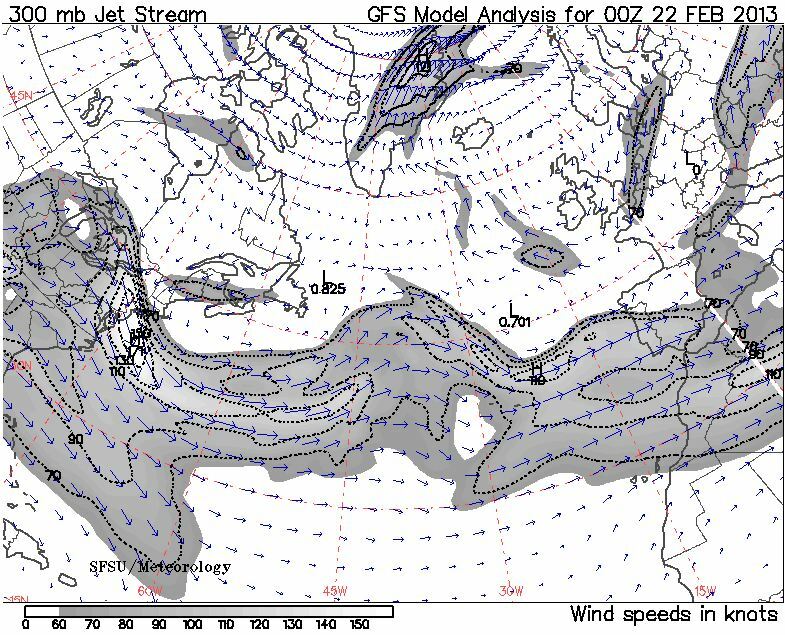 Although the jet stream has waved around a bit in that time it has very often been over or close to the UK since the drought ended in April. 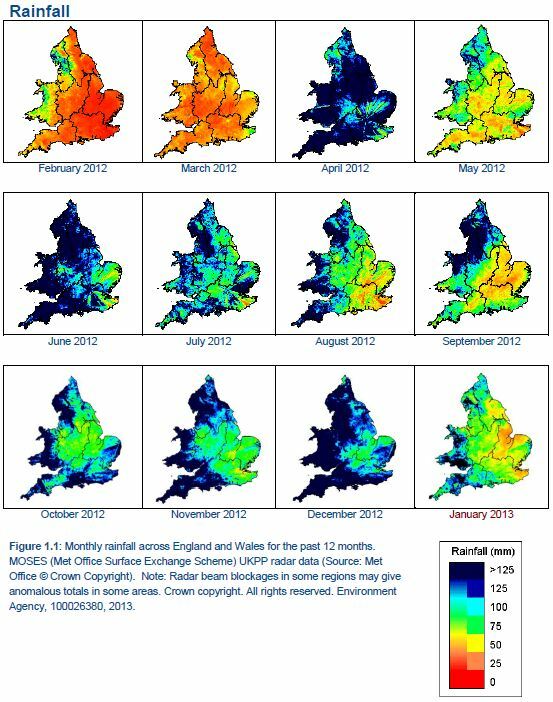 Monthly rainfall maps show this clearly. The rain-bearing systems are now being steered over Spain, Italy, the Baltic and Greece, as can be seen from a rainfall radar map from this weekend. 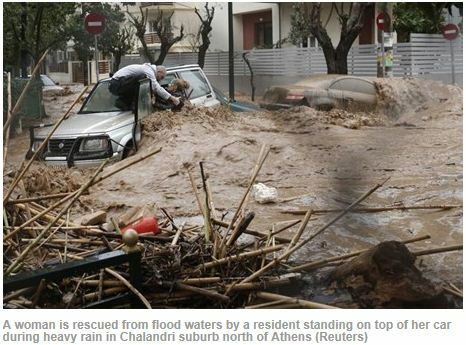 Some parts of Athens recorded over 100mm of rain and saw the worst flooding for 50 years. 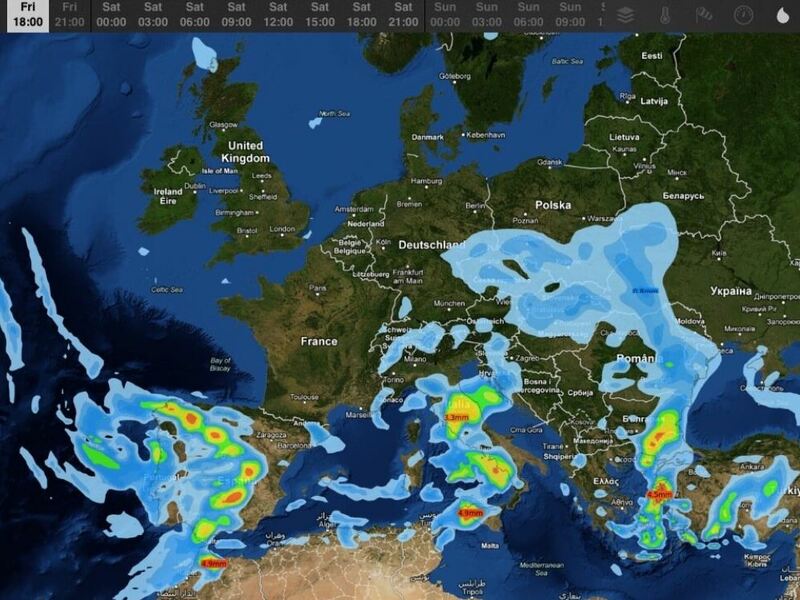 A lot more rain is forecast this week for southern Europe as further weather systems move in. Meanwhile we remain on the dry side of the jet, with high pressure anchored to our east. This is likely to stay the case for all of this week. Beyond that, it’s very difficult to say what will happen but it may well be that the jet stream goes a-wandering again. So enjoy the dry conditions while you can – even if it’s not warm and sunny. We all know what the alternative looks like!